A few days ago we were able to confirm that Samsung was testing Android 7.0 Nougat on the Galaxy S7 and Galaxy S7 Edge through a public beta that is already available in the UK, the US. and South Korea. As expected after a few days since the news, the website SamMobile has been able to get some images and videos that would demonstrate the update as it would run on a Galaxy S7 Edge: beyond the novelty of Nougat, we see that the user interface has been completely renovated and would now offer a closer look to Material Design, simple and enjoyable to see for a better user experience. At the moment the update is in the process of deployment to the beta-tester in the countries mentioned in the previous paragraph, and should be deployed around the world as a stable version within 2 or 3 months, since it has also been certified by the Wi-Fi Alliance. While we wait for this update to arrive officially, we can see how this renewal and rejuvenation of Samsung's personalization layer looks. 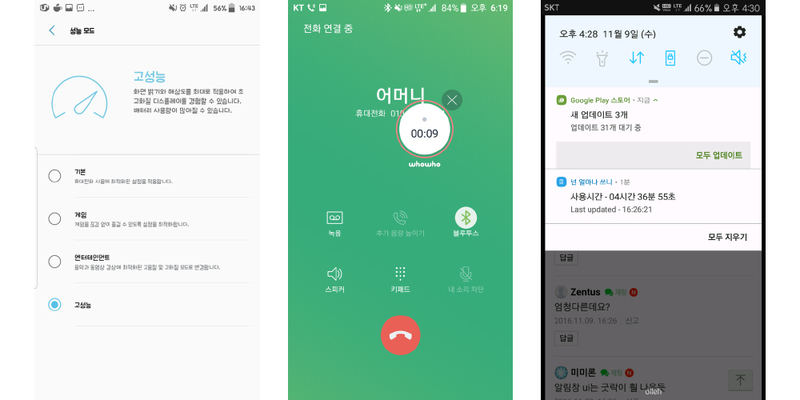 Here you can see screenshots and the video in Korean, which show a much more pleasant interface, with more space for notifications, more animations, but always with the recognizable touch of Samsung. Unfortunately, the language barrier does not allow us to appreciate all this improvement, but it is certainly a good start, and an indication that the beta of Android Nougat in the UK should also generate new images in a language more understandable to us. We remember that if things go the right way, we can expect that the public update of the Galaxy S7 and Galaxy S7 Edge in Europe will be published in the first weeks of next year.